At some point, your WordPress blog gets popular, and then people start crying out for a community. I wrote before about BuddyPress Make A Complete Community Site With Buddypress (& WordPress) Make A Complete Community Site With Buddypress (& WordPress) BuddyPress gives you complete user profiles, activity streams, and groups. If you’re considering a community site, this needs to be the first free project you check out. BuddyPress is completely free and open source. Just... Read More , which is one approach to take that effectively turns your site into a social network; forums are another option. 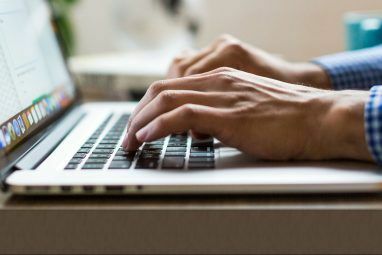 There are quite a few forum plugins out there, but I’ve distilled them down to the Top 3 to help you decide which will suit your as an admin and will be just right for your users. Vanilla is an open source forums system used by hundreds of thousands of sites – you might have heard of PennyArcade; Cult Of Mac; or 9to5 . The point is; these guys know forums, and this is a Pro-level solution. With both a paid (hosted) and free (host yourself) plan, the free option is quite an involved install process – this isn’t just a plugin, but exists as an entirely separate system that must be uploaded and configured. That said, if you managed to upload WordPress and type in your database details, then you’re going to have no problems getting Vanilla and running. 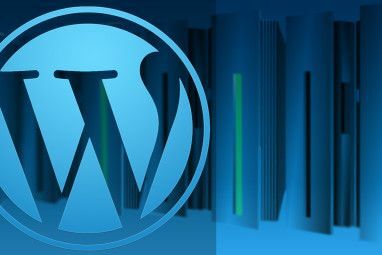 Once it is setup, you can continue integration with WordPress by installing the WordPress/Vanilla bridge plugin. It’s a lengthy procedure, but this tutorial will walk you through it. Unfortunately, I wasn’t able to solve some of the integration problems; perhaps I was rushing it, but others think the WordPress plugin may be the culprit, so hopefully this will be fixed soon with an update. bbPress is my personal favourite, and if you choose to install forum components when setting up BuddyPress, this is the forum system that’ll be added. bbPress integrates fiendishly well into the WordPress system; as it should, since it’s made by Automatic, the people who built WordPress in the first place. As such, you can expect a quality product, with lots of support, and frankly the best integration you’re going to get. As with WordPress, and BuddyPress, bbPress also has a number of plugins available to enhance functionality. The core features are on the light side though: this plugin is designed to integrate perfectly with WordPress, not overload with whizz-bang widgets. 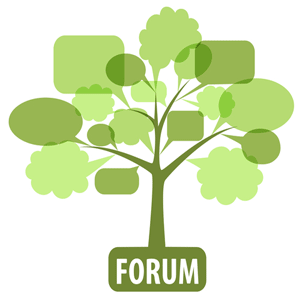 Basic forum features exist of course, but the focus is on simplicity. Another well developed external forum system, Simple:Press is incredibly feature rich and fully integrated into WordPress. I should note: Simple:Press also managed to completely mess up file and folder permissions on my test site, though this could be unique to my VPS setup. Proceed with caution, and make sure you have a backup in place. You may come across something called Mingle Forum, but their website is full of affiliate marketing nonsense and far too much advertising; my gut feeling is to stay away from it given there are better choices, this forum post is full of dissatisfied users. Forum Server is another that I found, but it’s hard to recommend when there are simply better solutions out there. That’s not to say Forum Server was bad in any way, it just isn’t any better and isn’t as well known. vBulletin is a well known forum/bbs system, but there’s currently no great way to integrate it. Something is in the works over at WPMUDev, but nothing yet. phpBB did make a valiant attempt at integration with a plugin called WP-United, but the site has since been abandoned and overtaken by spammers. There are a few projects also in development for the current phpBB 3 release but nothing solid yet. From the makers of WordPress, my money is with bbPress all the way. 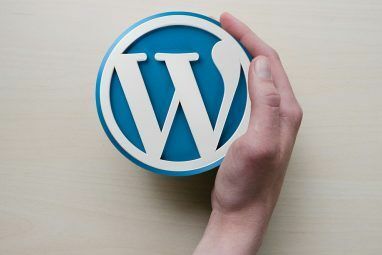 It’s the only plugin here that follows true integration, and simple configuration that defines exactly why WordPress is so popular in the first place; furthermore it perfectly compliments BuddyPress. If you’re not afraid of a little hard work and coding though, Vanilla would be my next choice; it’s simple yet powerful, and has a superb track record with some of the biggest names on the internet. Did I miss your favorite WordPress forum software? What are some of the other best WordPress plugins that do this? Do let me know about it in the comments. In the meantime, check out all our other WordPress and web development articles. 5 Sites and Apps to Find Movies & TV Shows to Watch on NetflixAre You Looking For The Best Free WordPress Magazine Themes? Is there a plugin to display images from the post in the left/right widget section ? I have a website http://www.foodival.com – its a collection of recipes from readers from all over the world. I wanted to display images of the recipe in widget section in a scrolling format. check out my other tutorial here Rogers: //www.makeuseof.com/tag/how-to-create-wordpress-widgets/ - it takes a random image, but you should be able to understand the code to adjust as necessary. This was a very helpful post. I have been trying to set up Simple:Press for a few days now, and with no luck. It looks great, but there is one irritating bug that is preventing me from creating forums and threads- basically making the whole thing useless. And the documentation is terrible. If you want any useful help, you have to pay an extravagant fee for support "membership". Then I tried Mingle. It was painless to install and set up, but it is ugly. The forum just looks so out of place, like there is my site with a forum embedded inside of it. It looks like two separate components, rather than parts of one fluid, integrated experience.There is no way to integrate the appearance into your own site unless you make your own "skin", which is separate from the WP Theme you are using. This essentially means that if I ever want to change the appearance of my site, I will have to go back and create a new skin again to match the new appearance. This is less than ideal, to say the least. I suppose I will go try bbPress. I have heard some good things about that too. Thanks. I was looking for a good alternative to phpbb vanilla is it. Thanks. Just an update on WP-United; the site is back up again and it is under rapid development. You should try phpBB again if you have the chance. This is what i'm looking for! . Thank you for this nice information!. I think I will also go with bb Press, it fits my personal preference. WP Auto Affiliate Links will automate the adding of links inside your content. grt post!!.. had a question, I have a website where registration form is very important. How should I place this form on the mobile website. Should it be a button where the user’s clicks and then take to the form OR should I place the form as soon as the user lands on the page..
Hmm.. Its okay np Thanks for your reply.. I Love Simple Press. Ran if for years - Unfortunately with the implementation of version 5, Simple Press requires you to pay a yearly if you want access to their plug-ins that make it a truly full featured forum - example ... Simple Press now comes with a simple test editor for creating topics. If you want your users to be able to add images etc "easily" in your forum, you need to buy a Silver or gold yearly membership to install that plug-in. Thanks for the update Ron, that does sound rather dodgy. You people are strange. You are surprised that a developer charges for a feature rich product that takes a lot of time to produce. It is like walking in to a supermarket and being surprised that you are charged for food. Simple:Press is a good product, the developer deserves to be compensated for creating, supporting and maintaining the product. It's not surprising that a developer charges for a feature rich product that takes a lot of effort and time. It IS however surprising that a developer charges for a feature rich product that has been freely distributed for a long time. This is not whether developers deserve to be paid or not. This is actually more simple: if you're a developer who wants to be paid for your work, why offer it for free all these years, then suddenly change it to a premium service? What that does is that you suddenly cut off a lot of your users and open up to only the 'elite' who pay for your services. That's all fine and dandy if you had posted it on your web site that the years of free stuff were considered a 'free trial'. I'm a developer myself, but we make it clear from the start that we will charge for premium products and offer zero support for free products. Simple:Press can be tricky to configure, depending really on how much you expect to get out of it. For me it is the best integration, BUT there is the problem of plugins and support requiring a subscription (2 month or 12 month).